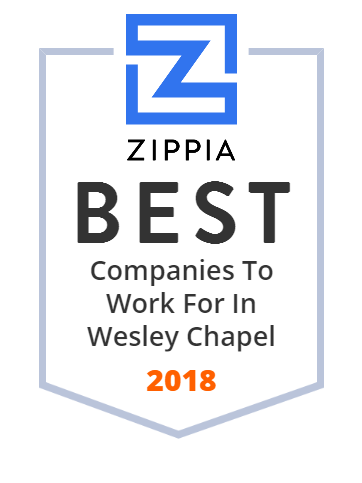 We hand-curated a list of the best companies to work for headquartered in and around Wesley Chapel, FL using data on salaries, company financial health, and employee diversity. Established in 1987, American specializes in planning, design and construction engineering and inspection of transportation facilities, with locations in the south and midwest regions. Receive high-quality employee leasing services and payroll services from our HR company in Wesley Chapel, FL. Saddlebrook Resorts, Inc. operates Saddlebrook Resort, a condominium resort and residential homes project located in Wesley Chapel, Florida. The company s resort includes accommodations, convention facilities, restaurants, tennis courts, and other recreational areas, as well as two golf courses and a spa. It serves corporate meeting planners and sports enthusiasts. The company was incorporated in 1979 and is based in Wesley Chapel, Florida. Saddlebrook Resorts, Inc. is a subsidiary of Saddlebrook Holdings, Inc.